Update: Some more details about the future of Dell as a private entity have come to light. During a conference call (via PC World), Dell officials said that while enterprise will be an important part of the company's strategy moving forward, it is still committed to making PCs. The company said it plans to keep investing in consumer tablet and PC business . Dell also plans to invest in R&D, acquisitions, grow its sales staff and partner programs, and push into emerging markets. Dell's bumpy road to privacy is nearing its end. The company announced today that stockholders have finally given the go-ahead, via a preliminary vote, to turn the PC maker over to Michael Dell and Silver Lake Partners, a global technology investment firm. The total buyout by Dell's founder and Silver Lake amounts to $24.9 billion (about £15.7b, AU$26.9b). While Dell struggled to convince some investors that his offer was the best course for all, the company said the transaction was approved by "holders of a majority of Dell's outstanding shares." The deal is expected to close by the end of the fiscal third quarter, or Nov. 1. Once Dell goes private, it will be the end of one chapter and the beginning of a new one for the hardware maker. The hope is that off Wall Street, Dell can more successfully revamp its business, including growing its enterprise computing services. "As a private enterprise, with a strong private-equity partner, we'll serve our customers with a single-minded purpose and drive the innovations that will help them achieve their goals," Michael Dell said in a statement. According to Reuters, it may be too late for Dell to turn around as HP, IBM and others have with strong enterprise-focused portfolios. 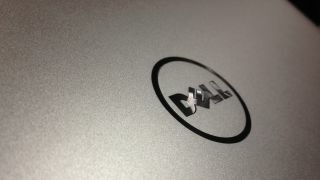 Regardless, Dell's in a bind as the PC market continues to shrivel, and going private seems the only way out. Privacy is important, but Dell did just announce a new consumer-facing tablet.